When it comes to appreciating David Bowie’s long and electric career, you can spare me your Ziggy Stardust love and keep your Thin White Duke posters to yourself. I always found these personas played out. Major Tom? Halloween Jack? Bo-ring! Let’s take a minute to celebrate the under-appreciated characters from David Bowie’s repertoire: let’s get started, since we don’t have “Five Years” (to complete this essay). Now then, “Let’s [learn]”! 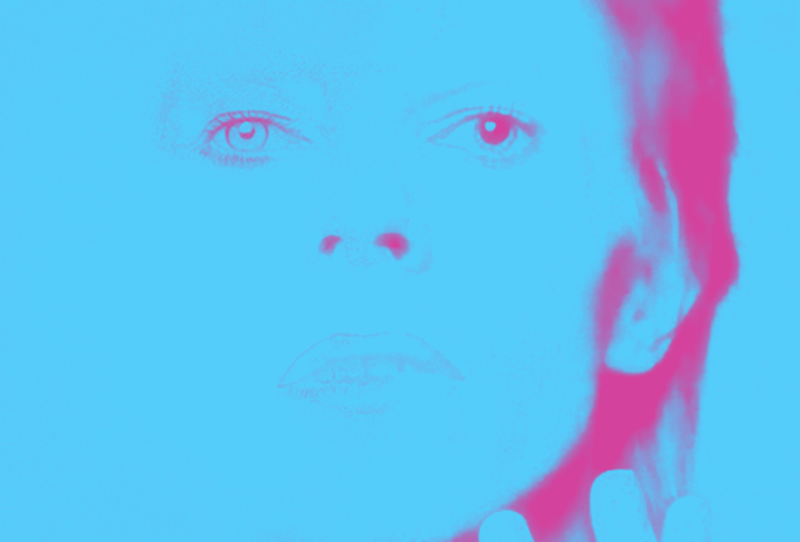 Prior to developing his Ziggy persona, Bowie had some sort of underdeveloped idea that he would be the Roman statesman, Marcus Tullius Cicero, but also be from space. Demos were recorded in which he set several of the Philippics orations against Mark Antony to synth-laden rock riffs. He penned originals referencing the great orator’s life and works but clumsily transposed to outer space, such as “Cut Off My Hands, Spaceman!” and “Letters to Atticus (from Neptune), Volume III”—the juxtaposition always felt forced. Not even his gold sequinned toga or treatise-shaped guitar could bring the look together. Producer Tony Visconti laid down the law and forced Bowie to choose: long-deceased Roman consul or gender-bending rock ‘n’ roller from outer space. After deliberating for “Five Years” (i.e., a few weeks), Bowie settled on his Ziggy Stardust character. However, his earliest Ziggy concerts continued to feature a mid-show denunciation of the Catilinarian conspirators. He remained smitten with Space Cicero and only gave up the character “Under Pressure” from his management team. The less said about this, the better. Prior to touring as the Thin White Duke, Bowie considered performing as the Fat Black Queen. The only part that we probably feel comfortable discussing is the endless supply of chicken nuggets that he consumed to achieve the ‘fat’ part of his moniker. (Incidentally, Bowie was a diligent collector of Happy Meals toys and was even buried, some say, with two of his favourites: a Wind-Up Chachi and an Inflatable Nixon.) As far as the other aspects of this character, well, following a disastrous debut at a Jesse Jackson fundraiser, and an even worse showing at a Harvey Milk fundraiser (pelted with commemorative milk cartons), Bowie went back to the drawing board, eventually setting on the much more palatable Thin White Duke persona: rock music’s grooviest Nazi. Stuck for ideas and in a mid-career lull, David Bowie had the nerve to propose a “bold new character”: Space Cicero. His bandmates, all of whom remembered perfectly well that he’d already tried and failed to get ‘the man from Mars in the future (but also from Arpino, Italy, 1st century BCE)’ off the ground, were NOT impressed. How could they have forgotten the tedious saxophone solo of his defence of Cluentius, accused in 66 BC by his mother of having poisoned his stepfather, Oppianicus the elder? Or the plodding funk of his meditation ‘On Duties (Space Duties)’? His downcast bandmates sulked at rehearsal; a teary Tony Visconti pleaded with him to give it up; an agitated Iggy Pop vomited his disapproval in no uncertain terms. But Bowie would not be convinced: he insisted that his next album was to be a version of ‘In Support of the Recall of Marcellus’ influenced by American soul music and set on the Sycorax moon of Uranus. (This character was really incoherent!) As luck would have it, Bowie was ultimately saved from embarrassment when a similarly adrift Bryan Ferry beat him to the punch by first rolling out his own persona, RoboDemosthenes (a time-travelling Attic Orator with cybernetic enhancements). When Bowie saw Mr. Ferry puttering around the Wembley stage on motorized sandals, struggling under the weight of his metallic tunic, Bowie knew he had to abandon Space Cicero once and for all.